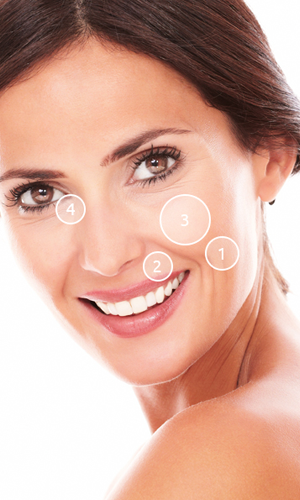 Fillers are injectables used to erase creases, wrinkles, and other unwanted facial lines. Although lip fillers are a popular procedure, fillers are also a great option to help regain facial fullness in areas such as the tear troughs and cheeks. Before receiving your fillers, Dr. Hearne will talk with you about your expectations. She will determine which filler will be appropriate for best results and how many treatments you may need. Fillers are are a great alternative to rejuvenate the face without surgery, however, the results are not permanent and will break down over time, just like natural collagen would. They require future replenishing treatments to upkeep your results. Dr. Hearne will discuss the longevity of fillers with you. There is no recovery time with our Fillers treatment.